Santa Claus exist? You Must Be Kidding!!?? As i read the news on MSN today (thanks for the link Vynne).. . It says that NORAD helping the children to track Santa's activities all over the world via iPhone. 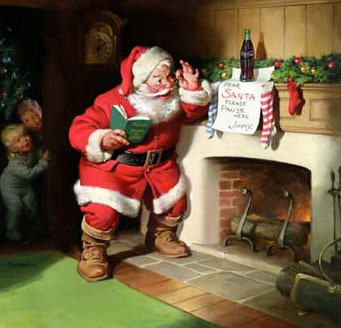 According to Colonel Harry Shoup on the website says "Based on historical data and more than 50 years of NORAD tracking information, we believe that Santa Claus is alive and well in the hearts of children throughout the world,". and became a citizen of Germany. He with his Rudolph (the reindeer) joined the band scorpions for good. I'm talking about Klaus Meine (Santa Claus) on vocal and Rudolph Schenker (Rudolph the reindeer) on Rythm Guitar. See... they're really exist, right?? If you believe, just say it... but for me hmmmmm... ok have a Good Sunday everyone.